This may be just right for you. 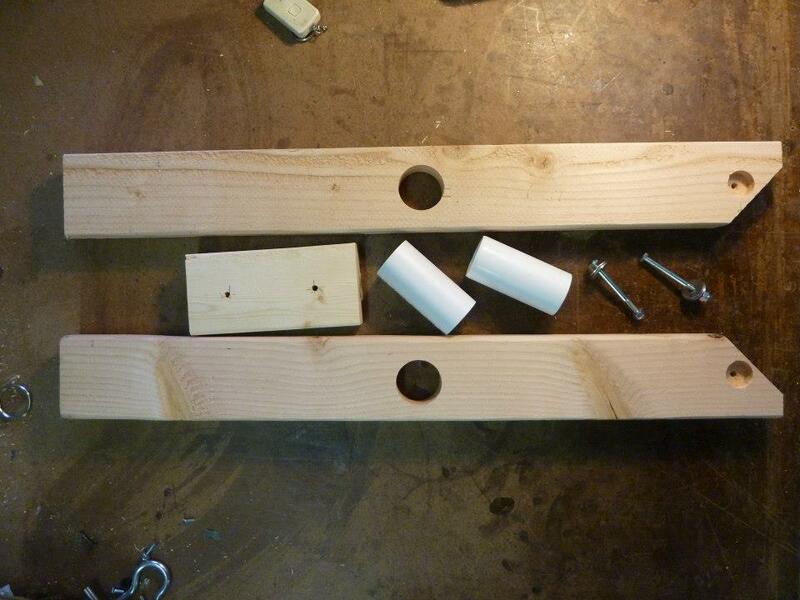 Here is are the basic steps of building this handy target frame. Thanks go out to Scott Lucas at Facebook: Take Your Kids Shooting for letting us post it here. 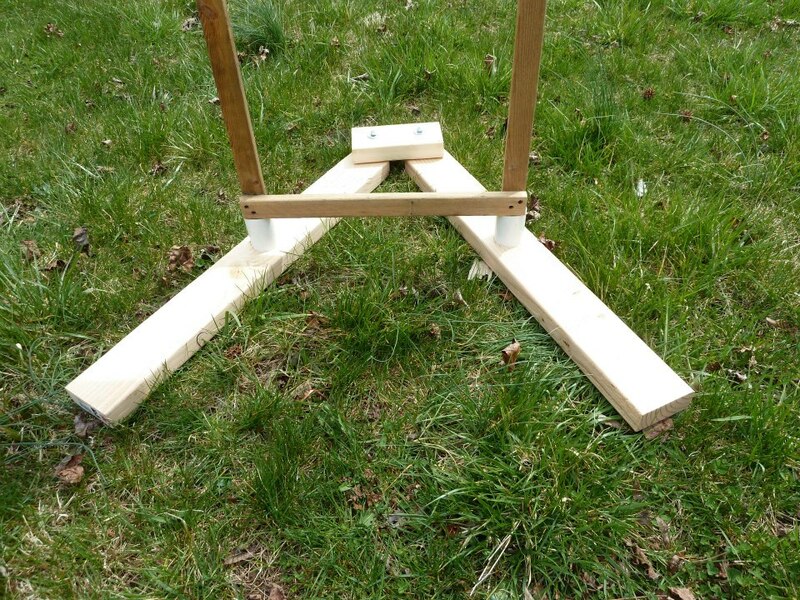 How about a compact base you just flop on the ground, spread apart and stick your 1x2 stand in? 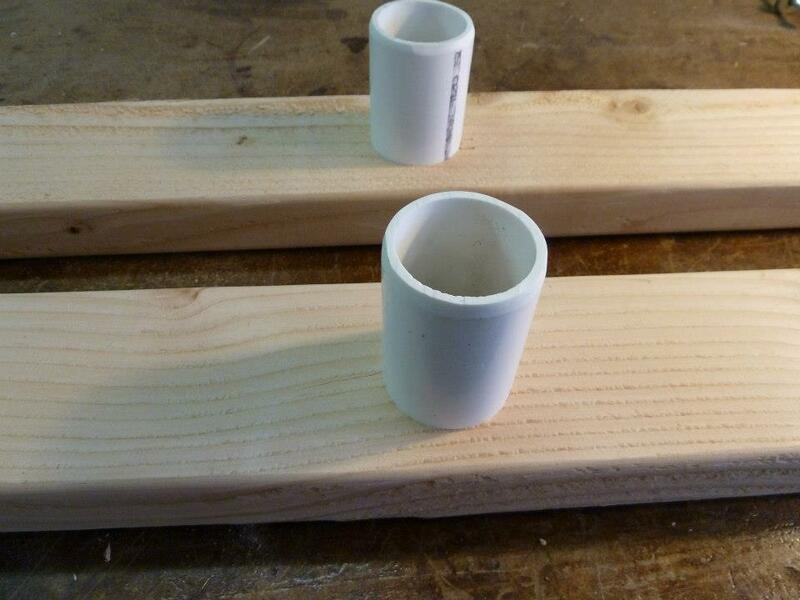 You are going to need two 30 inch 2x4s, one 7 inch 2x4, two pcs 1 1/2 pvc pipe 4 inches long, two 1/4x3 bolts, two 1/4 nylon lock nuts and four 1x1/4 fender washers. 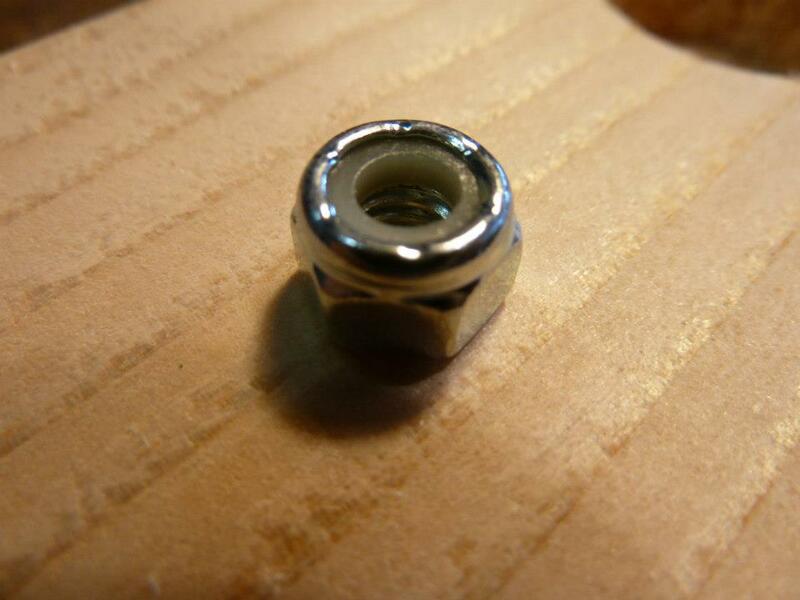 1/4 lock nut with the nylon insert, you don't have to use these but they pretty much stay put. 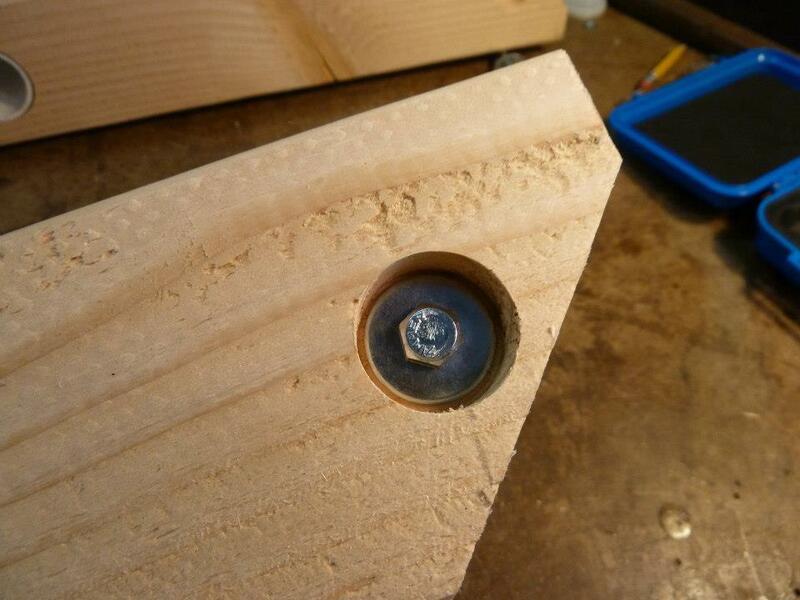 On one end of the long pieces drill a 1/4 inch hole @1 3/4 from end and centered, if you don't do the countersink seen here you'll need bolts longer than 3 inches. Miter one side at a 45 as shown also. 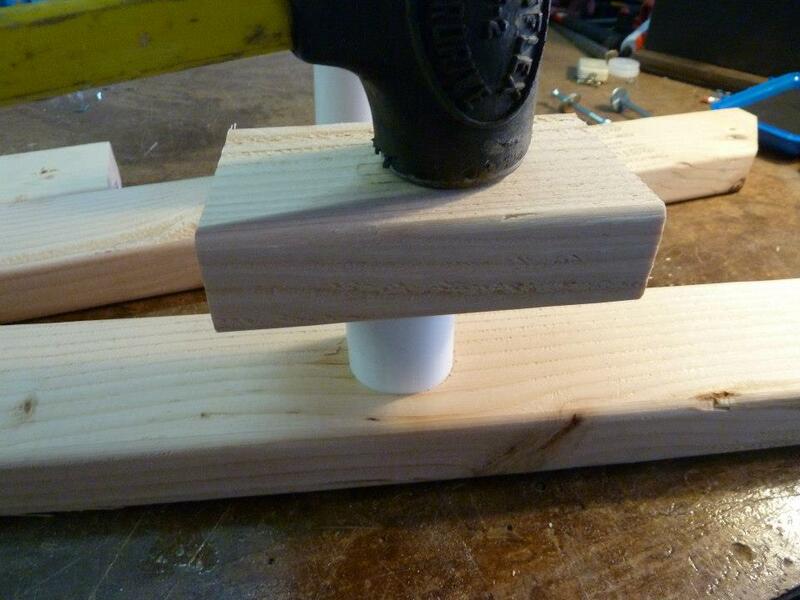 In the center of the two long boards drill a 1 7/8 hole two drive the pvc pipe into. 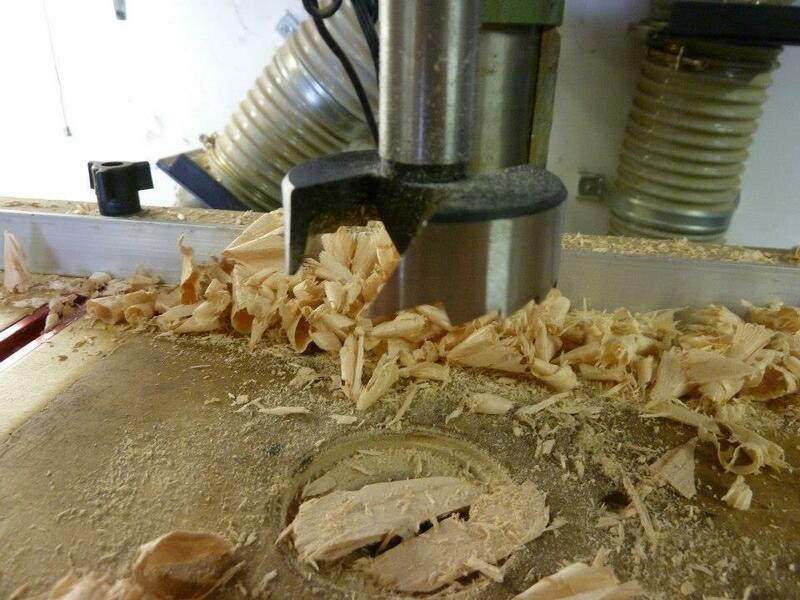 I drilled these with a forster bit I would think you could purchase a hole saw this size. 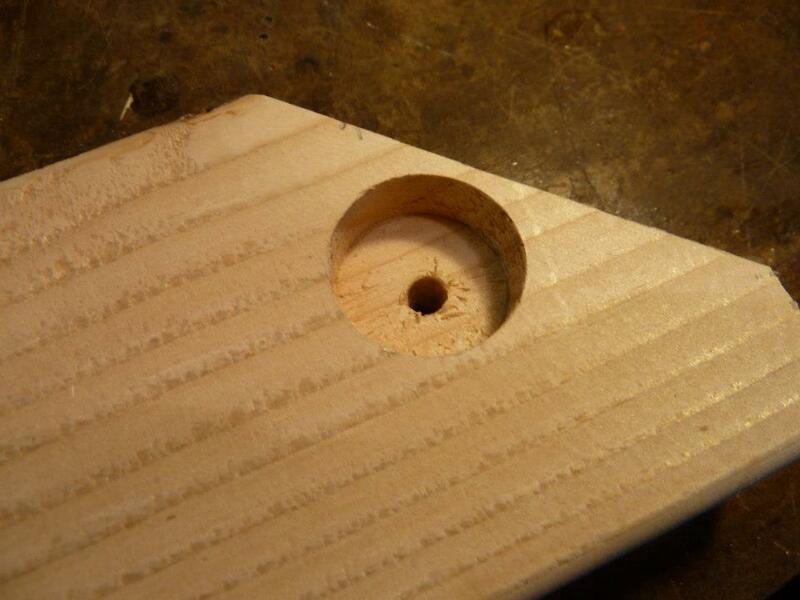 You may have to bevel the ends of the pvc to get them started into the holes. I used a dead blow hammer and a block to drive the pipe in. 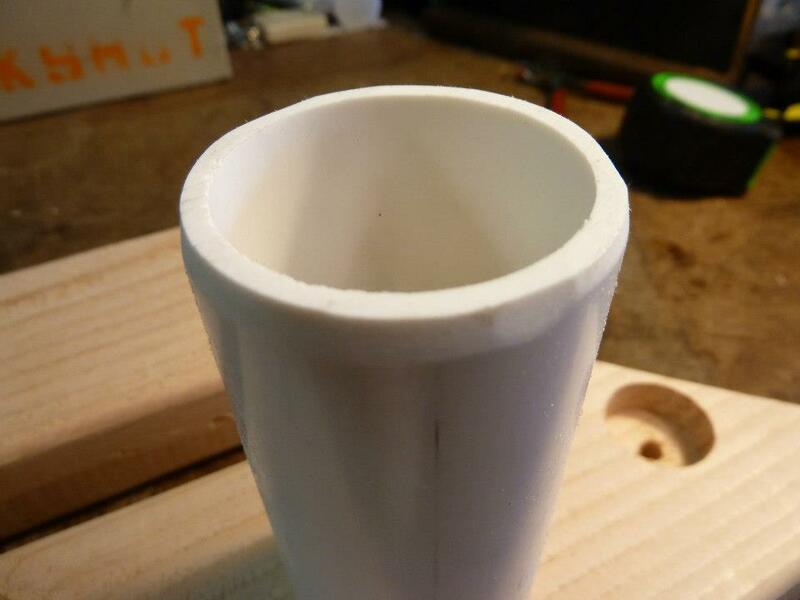 After your holes are drilled, cuts are made and the pvc driven into the holes, insert the 1/4 inch bolts up through the bottom of the two long pieces. 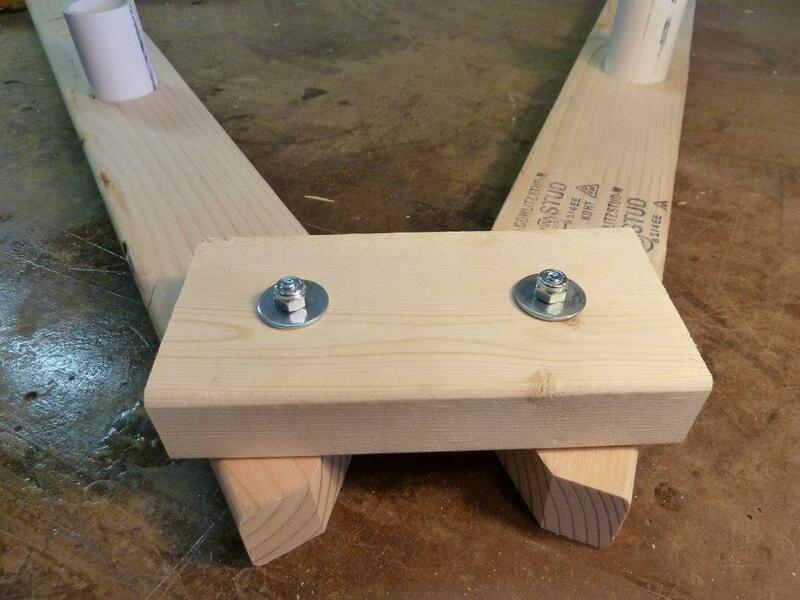 Turn your base pieces over and put the short 2x4 onto the bolts , put your other two washers and the lock nut on. 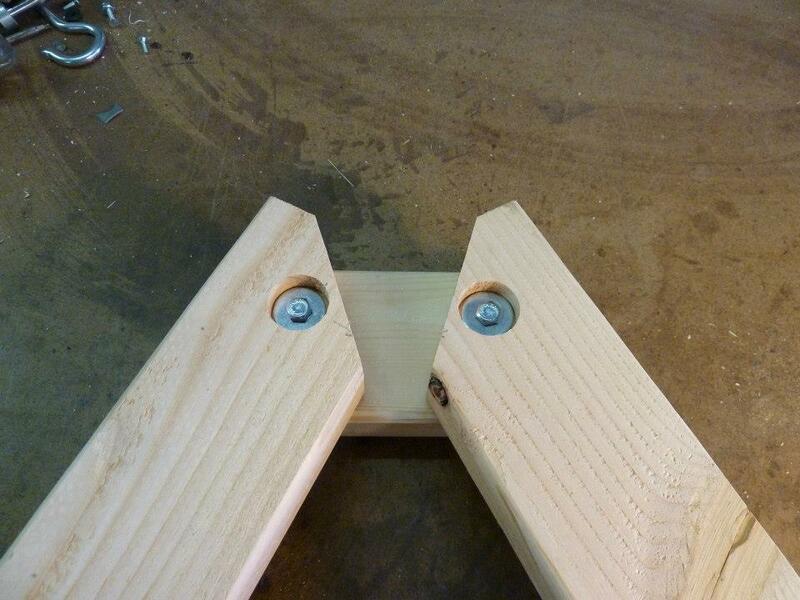 Don't tighten the bolts too tight, it needs to be easy to adjust for width. Bottom view of finished product. 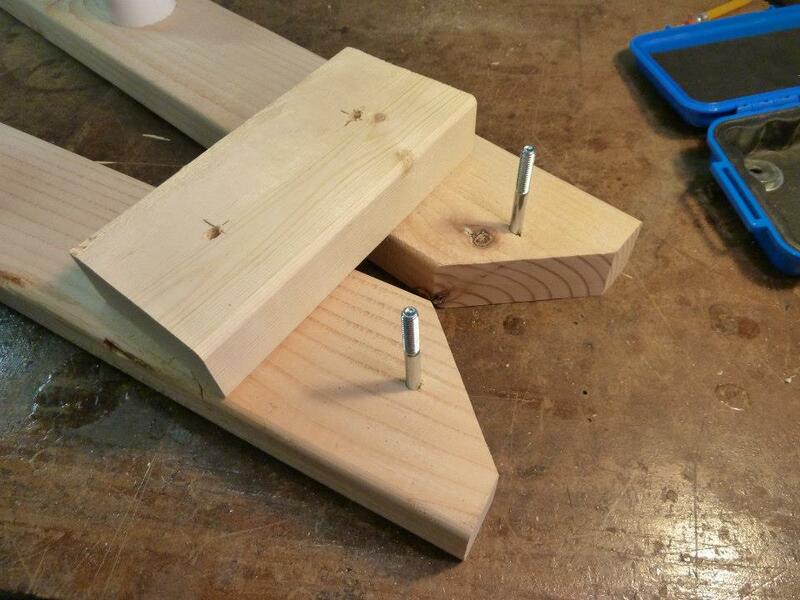 This makes an easily adjusted and compact base for your target frames made from 1x2 furring strips. There you have it. 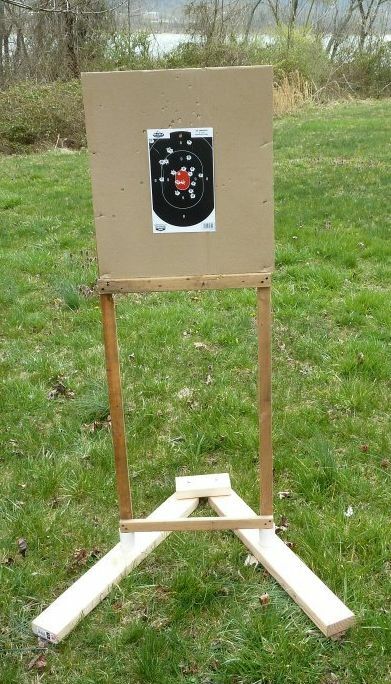 Now it is time for you to build your own target stands and head to the range. Thanks everyone! Have a great day at the range!